Even when hectic parleys are on to table the bill in the forthcoming winter session of parliament amidst strong opposition by a group of MPs in this JPC committee, BJP’s tactics of making an entry through the back door by bringing in an ordinance has been aptly supported by Purkayastha. 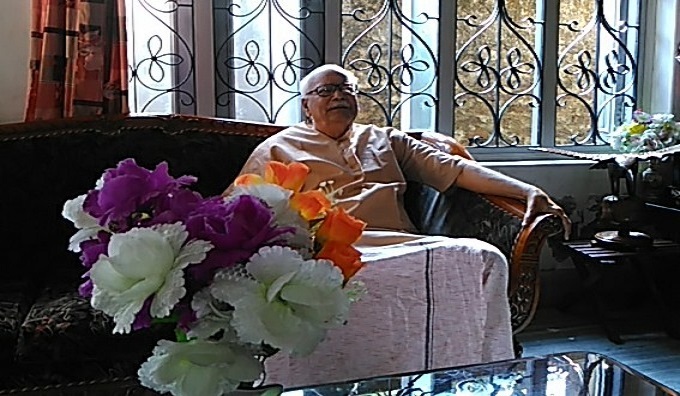 If talks between the Joint Parliamentary Committee (JPC) members on Citizenship (Amendment) Bill, 2016, were inconclusive on Tuesday last, father figure of Bharatiya Janata Party (BJP) in Northeast and former Union Minister Kabindra Purkayastha looked in a good mood while reading the newspaper on a misty morning of Wednesday at his residence in Silchar. “Those who are ‘refugees’ cannot be ‘foreigners’. Oppressed class of people who have come from Bangladesh, especially, Hindus, Buddhists, Sikhs, Jains, Christians and Parsis, should be allowed to stay in India, citizenship provided to them and should be treated at par with other people staying in India,” Purkayastha said.